The petitioner approached the court aggrieved by the order passed by the Ayavana Grama Panchayath in Ernakulam District, Kerala, cancelling the permission granted to the him to catch the stray dogs and handover the same to “Snehalaya for Animals”, a shelter home at Coimbatore for their upkeep and development. The petitioner had obtained a contract for catching 100 stray dogs from Ayavana Panchayat in Kochi. However, the contract was cancelled by the panchayat through an order issued on October 10th. In the order issued by the Panchayat Secretary, it was stated that a telephonic instruction was received from the minister's office to cancel the contract. Mr. Joy who claims to be an animal lover had formed an association with social worker Jose Maveli of Janasevana Sisubhavan (a charitable organisation) by the name “stray dog eradication group” with an intention to free the public streets of stray dogs by lawful means. According to him Snehalaya for Animals was willing to take 100 stray dogs which would have been a relief to residents of the Panchayat where rampant dog-bites have been causing serious trouble. The petitioner asserts that a Ministry under Union of India has no authority to interfere with a license issued by a Panchayat under Kerala Panchayath Raj Act, 1994. Earlier, the Kuruppanpadi Police, Kerala had registered an FIR against the petitioner and two others alleging that they have killed seven stray dogs and arrested them. The petitioner was subsequently released on bail. Recently Mr. Joy had joined hands with the Kochi-based businessman Kochouseph Chittilappally, in his controversial 'let's get rid of the stray dogs' campaign. Chittilappally also announced a reward of Rs 5 lakh for O M Joy, who heads the “stray dog eradication group” (Theruvunaaya Unmoolana Sangam) for his efforts. 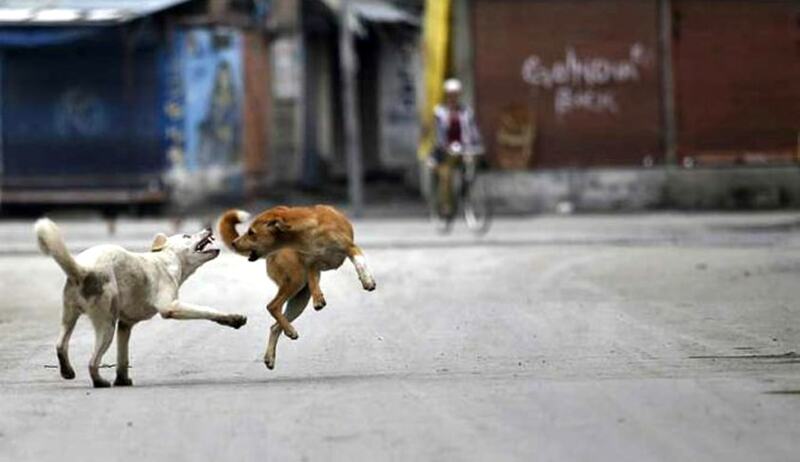 Earlier this month, Animal Welfare Board of India (AWBI) had launched a Kerala street dog culling tip line, offering a reward up to Rs 10,000 for information leading to arrest and conviction of those who kill dogs. ABWI has stated that the law prohibits killing of dogs or dislocation of dogs and any such killing of animal is a cognizable offence under the Indian Penal Code. The orders from the Police Department and the Local Self Government Department clearly state that any killing of dogs will interfere with the Government programme and will be completely illegal. AWBI had also urged the District Collector, Ernakulam, to take immediate action against Kochouseph Chittilappilly and the “Street Dog Eradication Group” involved in illegal catching of stray dogs in Ayavana Grama Panchayat limits in Ernakulam district. There are nearly 2.68 lakh, street dogs in Kerala and over 1.6 lakh dog bite cases mainly of women and children are reported in the state annually.